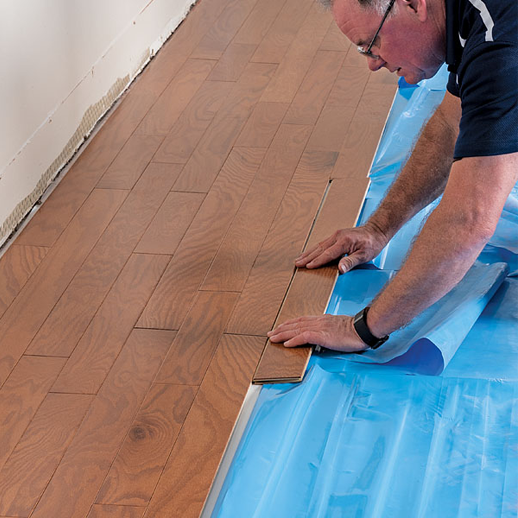 Mapecontact SRT is a double-sided, sound dampening, foam-core, dry-film tape for rapidly and permanently installing solid vinyl sheet, vinyl tile, and vinyl plank flooring, as well as prefinished engineered or solid wood. Mapecontact SRT allows for immediate foot traffic after installation and features unlimited working time. This feature is controlled by simply leaving the release liner in place protecting the adhesive film from dust and other debris. The release liner also acts as a finished floor protection film by simply folding it back over the installed floor. Mapeguard WP 200 is a thin and flexible, two-sided, nonwoven, polypropylene fabric, used for both waterproofing and crack isolation under ceramic, porcelain, and natural stone tiles. 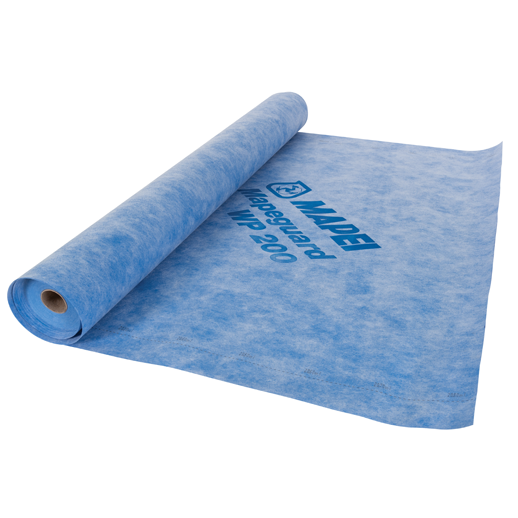 The laminated fabric webbing is designed to anchor the membrane to the substrate and tiles to the membrane using the bonded thin-set method with recommended, polymer-modified mortars. Mapeguard WP 200’s low perm rating performance is ideal for vapor protection in showers and wet areas. Mapesonic™ RM is a high-performance, acoustic underlayment designed to reduce the passage of ambient and impact sound transmissions for ceramic tile and stone installations. Composed of dense post-consumer rubber, Mapesonic RM provides the dual uses of sound reduction and crack isolation. It is ideal for multi-floor arrangements like apartments, condominiums, college dormitories, classrooms, and office buildings. 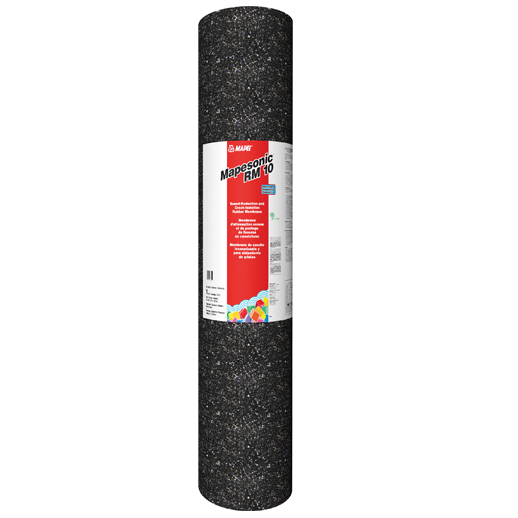 In addition to noise reduction, Mapesonic RM carries a lifetime warranty when it is used in combination with MAPEI’s tile and stone installation products.